Cottages of Rehoboth LLC is an award-winning, full-service construction firm specializing in custom renovation and new construction projects in the Rehoboth Beach area. We work with clients on all project phases - from property selection to final landscaping. We limit the number of projects we take on at any given time to ensure we meet your design and construction expectations. Every project is special to us and we are proud of every project we build. Making your dreams become your reality is our goal! Cottages of Rehoboth has assembled a team of licensed and insured subcontracting partners based on their experience, knowledge and work quality. We are loyal to our subtracting team and they, in turn, are loyal to us ensuring your home will be built to the highest standards in the shortest amount of time possible. We believe it is vital that all construction trades work together and understand each other’s needs. In fact, most of our subtracting partners have been with us since our very first project – a total renovation of a historic Rehoboth cottage at 85 Sussex Street that won the Rehoboth Beach Main Street “Cottage Restoration” and the Rehoboth Historical Society’s “Cottage of the Year” awards. Cottages of Rehoboth is committed to providing the best quality service available at a reasonable price. Allen and Daniel look forward to talking to you about your construction needs. East Coast Tile & Flooring is a family owned and operated business located in Pittsville, MD but provides service for all of the Eastern Shore. At our showroom we offer a large selection of marble, granite, glass, metal and ceramic tiles from around the world. Our experienced staff can assist Architects, Designers, Installers and Homeowners on any size project in all price ranges. Whether you are just buying tile or want a full installation, we can help you. We work with local plumbers to make the renovation of your home that much simpler. +LICENSED AND INSURED +INSTALLATION GUARANTEE +IN HOUSE FINANCING Different types of tile require different types of preparation and setting material. We follow the proper requirements from the tile manufactures. Some require waterproofing/anti-crack prevention, sealer & specific types of thin-set to be used. By selecting East Coast Tile, you know the tile will be installed the correct way. 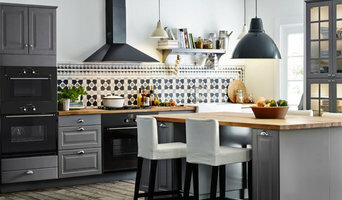 A kitchen backsplash seems so simple, but can be so unique.There are many different types of tiles you can use for your kitchen backsplash. Therefore there are even more different varieties of designs. Give us a call and we can have a representative help you achieve the look you want. Total Bath Transformations is a local, family owned bathroom remodeling company based in central Delaware. We service all of Delaware - top to bottom. We are not a franchise company! We differentiate ourselves from similar companies by offering multiple style options, personalized customer service, superior quality products, and extremely competitive pricing. Our solutions focus on meeting the needs of multiple customers including residential homeowners, rental property owners, and businesses. Our goal is to become your trusted and community recognized bathroom remodeling company. We provide property owners with an alternative option to the cookie cutter bath resurfacing companies. Total Bath Transformations provides quality options, a large array of design and color choices, and expert installation. We offer a variety of color and style options for every budget. We offer acrylic, tile, and resin tub surrounds, shower bases, trim, sinks, and vanity tops. 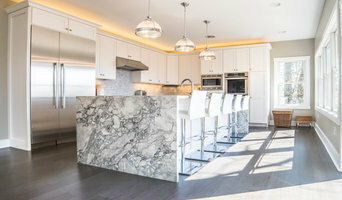 We are also the only company in Delaware to offer the entire ONYX Collection - a unique resin surface, similar to cultured marble that is guaranteed by the manufacturer for life! 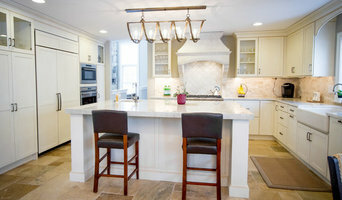 Coastal Delaware Award-Winning Custom Home Builder | 4x Best of Houzz! We're passionate about delivering an exceptional home remodeling experience. When you hire us, you're hiring a team of professionals who are trained and skilled to deliver lasting value to your home. Whether it be some complex kitchen remodeling or the simplest home improvement you'll get our expert attention. From the initial design process to construction completion, we consider ourselves humble guests in your home, and as such respect your personal privacy and space. We apply the most innovative and cutting edge designs as one of todays top remodeling contractors and home renovation companies in today's home remodeling market. You can rely on our professional team to make recommendations that fit your taste and style but always give you the final word. We are a full-service custom home builder and remodeling firm that provides design consultation. From start to finish, we can turn your indoor or outdoor remodeling dreams into a reality. Preston Building & Remodeling has in house carpenters and a network of subs necessary for your job. Remodeling a kitchen and need plumber? It's covered in the scope of work with Preston Building & Remodeling when you engage them as the general contractor for your project. Need a permit from your local inspector for your project? Preston Building & Remodeling will advise of work that requires permits and inspection, submit the necessary paperwork and schedule inspections that result in final approval.